A partial list of the Maliks of Upper Tyareh dating back to Malik Hormiz. Records of Upper Tyareh Maliks preceding Malik Hormiz were unfortunately destroyed in 1843 when Bader Khan Beg razed Upper Tyareh. Malik Khoshaba D’ Malik Yousip (1877-1954): Born in 1877 in the town of Lizan, Lower Tyareh, Malik Khoshaba came from a distinguished family of ancient lineage known as the “Bet Polous” family. Upon finishing his primary education at Presbyterian missionary schools established in Lower Tyareh, Malik Khoshaba continued his secondary studies at Mosul, Iraq, and furthered his studies at the American College in Urmia, Iran. An educated man who was well versed in several languages including English, Arabic, Kurdish and Russian, Malik Khoshaba was a voracious reader and a lover of history, among other subjects. His studies were interrupted by a tragic event that proved to test his metal as a would be leader in Lower Tyareh: while away at Urmia, Malik Khoshaba’s father, Malik Yousip, was murdered by the Kurdish Rashid Beg, the “Mira” or prince, of the Barwar region. This tragedy required his return to Lower Tyareh where he vowed to avenge his father’s murder. In 1908, Malik Khoshaba assembled a formidable force of Lower Tyareh fighters from the villages of Lizan, Bne Laggipa, Minyanish, Zawitha and Zarne and attacked the Barwar Kurds where a fierce battle ensued that resulted in Malik Khoshaba killing Rashid Beg’s brother, Said Beg, thereby avenging his father’s murder. Malik Khoshaba’s renowned valor would continue in numerous battles, particularly during the Assyrian exodus from Hakkari in 1915 in which his sheer tenacity and will helped break through the enemy envelopment of Assyrian villages and again at Urmia, Iran, where he, along with his fighters pacified Urmia of hostile Muslims bent on massacring Christians. It was even rumored that he slew a bear in combat armed with only a dagger. Malik khoshaba was bestowed the title of “Lion of Tyareh” and his bravery was praised by both Assyrians and foreigners, earning the respect of the hardened Russian elite force of the day, the “Cossacks” who fought alongside Assyrians in several battles. He would go on to lay claim to the title of the overall Malik of Lower Tyareh and make several controversial decisions in the 1920s and 30s during the Assyrian struggle for an autonomous region. He died an elderly man in Iraq in 1954. Malik Ismail II of Upper Tyareh (1854-1936): Born in 1854 at Chamba, the capital of Upper Tyareh, Malik Ismaill II was the son of Shlimon who was one of the two surviving sons (out of seven) of the brave and noble Malik Ismail I who courageously fought Bader Khan Beg's forces in 1843 to his last breath in defense of Upper Tyareh's autonomous status. Named after his noble grandfather, Malik Ismail II grew up to be a brave and wise man and a man of great honor who was literate and understood the political dynamics of the Ottoman Empire. Malik Ismail II ascended to the leadership of Upper Tyareh in 1885, succeeding his paternal uncle Malik Yaqo I. Under his astute leadership, Upper Tyareh grew exponentially stronger which allowed him to consolidate his reign over several Kurdish tribes that were within Upper Tyareh's jurisdiction. He inflicted several defeats against bellicose Kurdish chieftains, the most famous being against Tatar Khan Beg, the prince or Mir of Barwar, which resulted in the emancipation of the Assyrian towns of Halmoun and Geramoun from Tatar Khan Beg's oppressive rule over them. Thereafter, Halmoun and Geramoun were administratively included under Upper Tyareh's dominion and the people of those two industrious towns honored Malik Ismail II as their hero and offered his household yearly tribute of sheep. Despite periodic Kurdish instigation and acts of aggression, Upper Tyareh prospered under Malik Ismail II's rule as he cautiously fostered and maintained a peaceful relationship with the Ottoman authorities until 1915 when the Ottoman's commenced the genocide of ethnic Christian minorities within the Ottoman Empire, i.e Assyrians, Armenians, Greeks. In 1905, the Ottoman authorities bestowed the Osmanali Medal of Honor upon Malik Ismail II, an honor usually only bestowed upon the prince of Hakkari, for his respect of the law, elevating his status to that of the Kurdish Mirs. Unequivocally, Malik Ismail II was the most powerful Assyrian Chieftain who ever lived in Hakkari and furthermore, it can be argued that by 1905, he was the most powerful leader in all of Hakkari which prompted the Ottoman authorities to treat him with all the honors of a prince of Hakkari. Malik Ismail II and his forces played an instrumental role in repelling the genocidal attacks of the combined Ottoman-Kurdish forces on the Assyrians of Hakkari in 1915 as well as breaking through the enemy lines which came to be known as a miraculous exodus and safeguarding the beleaguered Assyrian nation on its hellish journey from Hakkari to Urmia, in Iran, in which they were incessantly attacked and murdered by Kurdish irregulars where two-thirds of the Hakkari Assyrians perished. Malik Ismail II died at Henadi, Iraq, in 1936 and his remains were moved to St Mary's Assyrian Church in Baghdad in the 1970s. Hormiz Malik Chikko of Upper Tyareh (1934-1963): Hormiz was born in the village of Diana, Northern Iraq, in 1934. 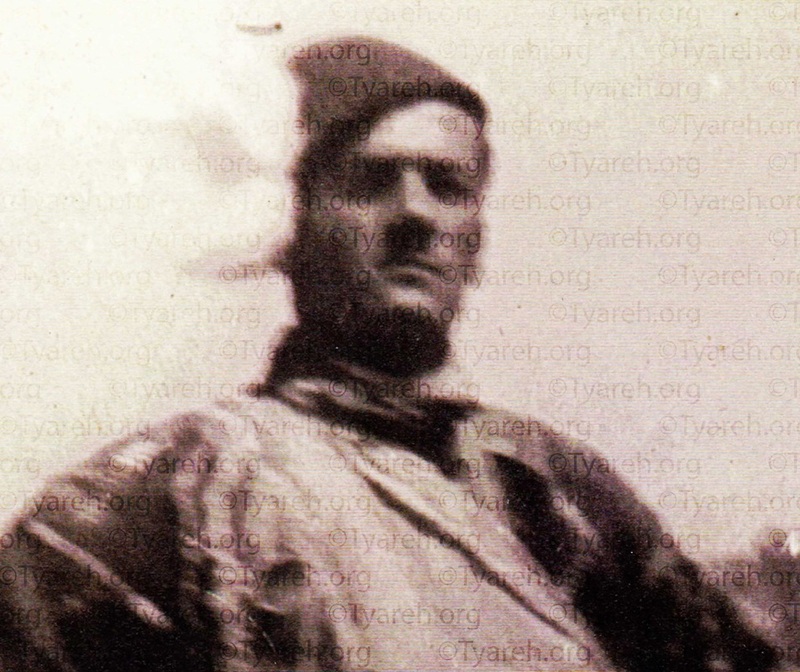 As the son of Malik Chikko of the clan of Dadosh, Upper Tyareh, and the nephew of Malik Yaqo D’Malik Ismail, the overall leader of Upper Tyareh, Hormiz descended from a long line of noble Tyareh warriors. From an early age, Hormiz was taught leadership and fighting skills and he grew up to be a capable and brave young man who revered the intensely independent spirit of his Tyareh forefathers from Hakkari and ancient Assyrian ancestors. In the Kurdish-Iraqi government clashes of the late 1950s and early 60s, Hormiz commanded the Assyrian front against the Iraqi government to reclaim the Nineveh Plains region and protect the Assyrian and Yazidi native populations from government harassment and Arabization policies. Hormiz’s goal was to protect Assyrians and the territorial integrity of Assyrian lands in Northern Iraq from Arab or Kurdish infringements. Indeed, his sense of honor and justice went beyond that; he lamented not only the plight of his defenseless Assyrian people in the Nineveh Plains region, but also that of the Yazidis and took on the responsibility of protecting both. He, along with his Assyrian contingent, fought courageously against the enemy forces in numerous battles but was mortally wounded and became a Martyr at age 29 on December 2nd, 1963. To this day, the Yazidi people revere him as a brave and honorable warrior. 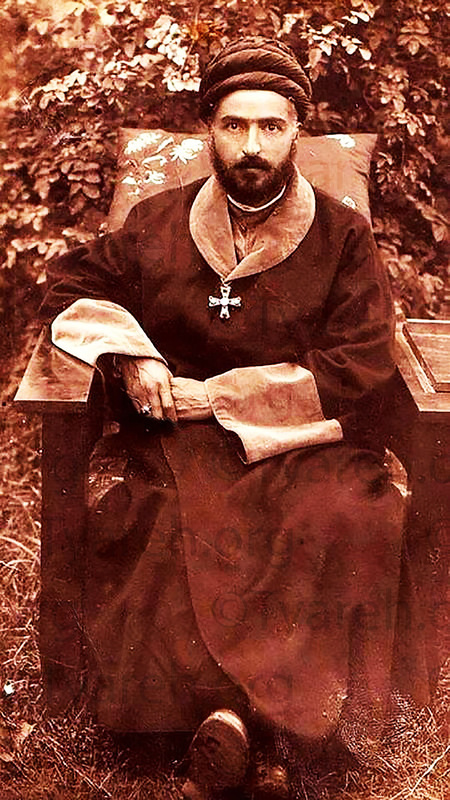 His Holiness the martyr Mar Benaymin Shimun XXI, Patriarch of the Assyrian Church of the East (1887-1918): Although not of the Tyareh tribe, Mar Benyamin is an Assyrian national icon and a martyr who was cowardly ambushed and murdered along with 150 of his brave bodyguards that were primarily from the Upper Tyareh tribe by the Kurdish chieftain Ismail "Simko" Agha of the Shekak Kurds tribe in 1918. 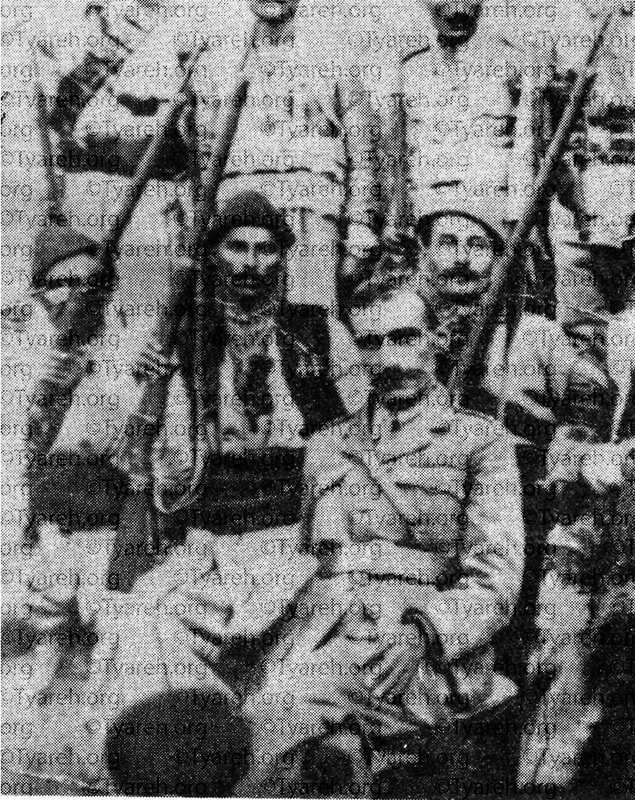 After concluding a meeting with Simko that aimed to establish peace and cooperation between the Assyrians and Kurds of Northwestern Persia (Iran), Simko signaled to his 800-plus cowardly "warriors" who were hiding on roof tops to open fire on Mar Benyamin as he stepped into his carriage. In fact, according to Daniel D'Malik Ismail of Upper Tyareh (the commander of Mar Benyamin's guards during the ambush), Simko had apparently given specific instructions to his minions to focus most of the fire at Mar Benyamin to ensure his massacre. Less than 20 of Mar Benyamin's entourage survived the ambush. This dark episode was, and still is, a true testament to the Kurdish definition of "honor" and "bravery" since many Kurds nowadays regard Simko as one of their national heroes.